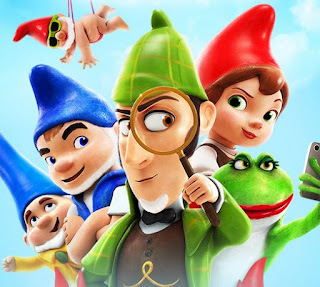 Sherlock Gnomes is released on Digital today and on Blu-ray June 12th, in honor of the film, here are some online family friendly activities! Sherlock’s on the case! The whole family can experience Sherlock Gnomes live on Facebook on Thursday, June 7th at 7 PM ET and can submit questions to him now. Paramount Home Entertainment is bringing Sherlock Gnomes to life in real-time as he solves fans’ greatest mysteries. This cutting edge experience utilizes motion capture technology to translate an actor's performance into Sherlock, who will react live on the social network.